On this weeks episode we talk with Ryan Pearson of Wayne County Speedway. 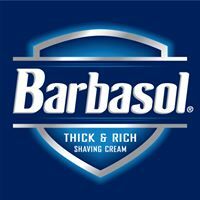 Its always a pleasure having Ryan join us on the Barbasol Shave phone line, and we talked about improvements made to the track and up coming features. There are some great events coming this Summer to WCS, so be sure to circle the Calendar. For all the details of the track, including a schedule, visit their website by clicking on the link below. As always we would also like to thank all the newest partners to the show!! We just added Nectar Sunglasses as a sponsor along with our previous sponsors of Frankie Blue Candle Co, Dans Detailing and Venezie Sporting Goods and Apparel. Be sure to check out all these great companies and show them your support!!! Thank you and hope you enjoy this weeks show!!! !